9 men ran Indira's Emergency machinery. Who are they? Was the Emergency plot ready six months earlier. Find out here. On the 40th anniversary of the Emergency, we profile 10 of the most notorious actors of democratic India's darkest period. In 1971, Indira Gandhi's popularity was at its peak. She had won a war against Pakistan and forged a new nation out of it, Bangladesh. So much so that her rival, Atal Bihari Vajpayee, compared her to Goddess Durga. In less than five years, her popularity hit rock bottom. Protests in two key Congress-ruled states, Bihar and Gujarat, snowballed into a national movement led by the Gandhian Jayaprakash Narayan, or JP. Then, on 12 June, 1975, the Allahabad High Court disqualified her as a Member of Parliament. Although she got an interim stay from the Supreme Court, the opposition refused to let go of the chance to corner her. JP called for "total revolution", even appealing the armed forces to join in. On 25 June, 1975, a massive rally was held at Ramlila Maidan in Delhi, attended by all major opposition leaders. They wanted Indira to go. That same evening, Indira had President Fakhruddin Ali Ahmed sign the proclamation of the State of Emergency. Her cabinet ratified the ordinance only the next morning. It is still debated whether it was unconstitutional to get a post-dated cabinet approval. Usually, the President acts on the cabinet's advice, not just the prime minister's. But then, she was in a hurry. JP, Morarji Desai, Vajpayee, Advani and scores of other opposition leaders were arrested. Even dissident Congress leaders like Chandra Shekhar and Ram Dhan were not spared. The press was censored. 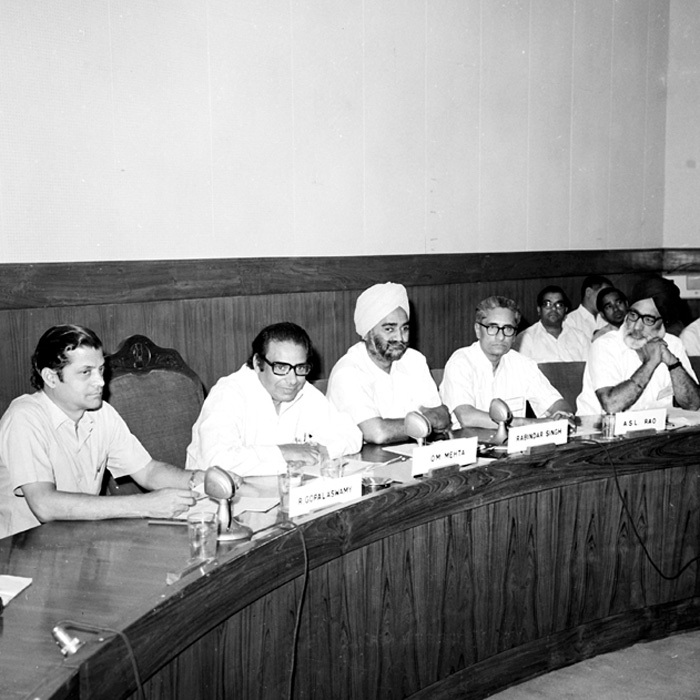 Addressing the nation on the evening of 26 June, Indira claimed she had to impose the Emergency to save the country. According to her, some elements in the opposition were bent on destroying democracy, and they had to be stopped. 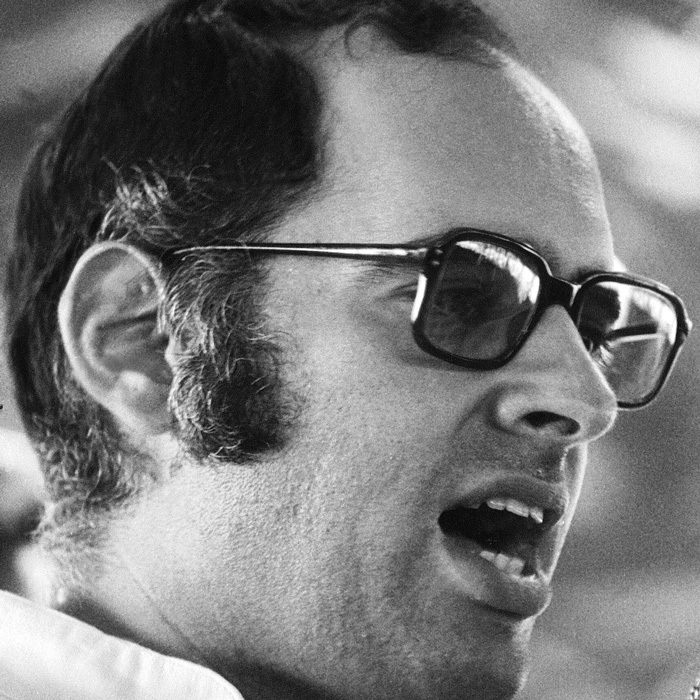 To his followers, Sanjay Gandhi was a visionary - a vegetarian, animal rights activist, advocate of industrialisation (the Maruti car was his idea). History, however, remembers him as the brash young son who forced his mother into a political decision that brought on democratic India's darkest hour. No one talks about his Maruti legacy or his simple lifestyle, no matter how often his wife, now Union minister, Maneka Gandhi, stresses it. The conversation is always about his role in forced vasectomies, demolition of slums in old Delhi and the beginning of the end of democracy within the Congress. 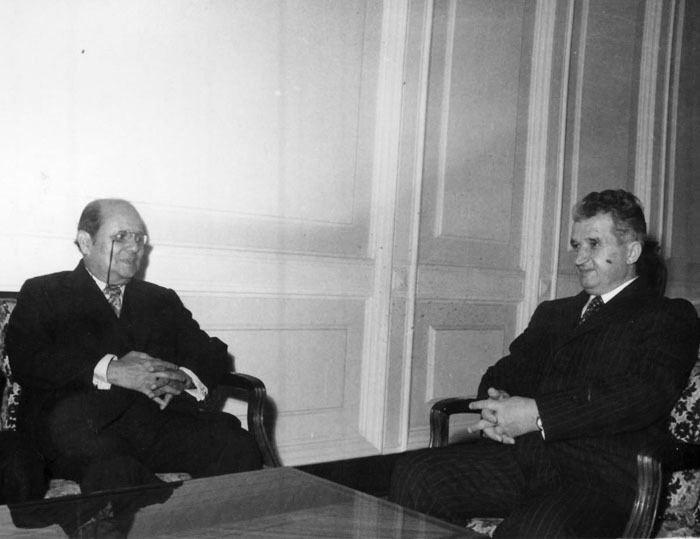 Siddhartha Shankar Ray was part of the triumvirate, along with Congress president D K Barooah and Bombay Congress chief Rajni Patel, that advised Indira to declare the Emergency. The West Bengal chief minister, a leading lawyer of his time, was the legal brain behind Indira's "biggest political gamble". 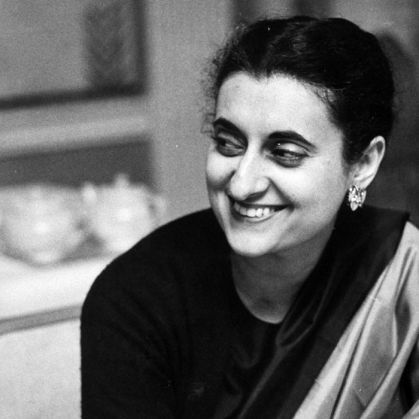 In her book The Emergency: A Personal History, Coomi Kapoor shows that Ray had first advocated the Emergency to Indira in January 1975, months before the "triggers" forced her to impose it six months later. 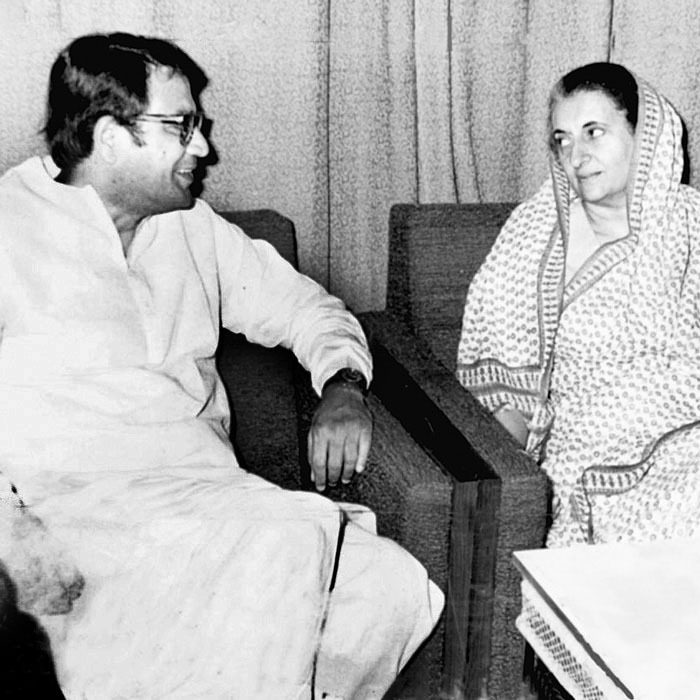 It was Ray whom Indira took with her when she went to discuss the Emergency ordinance with President Ahmed. 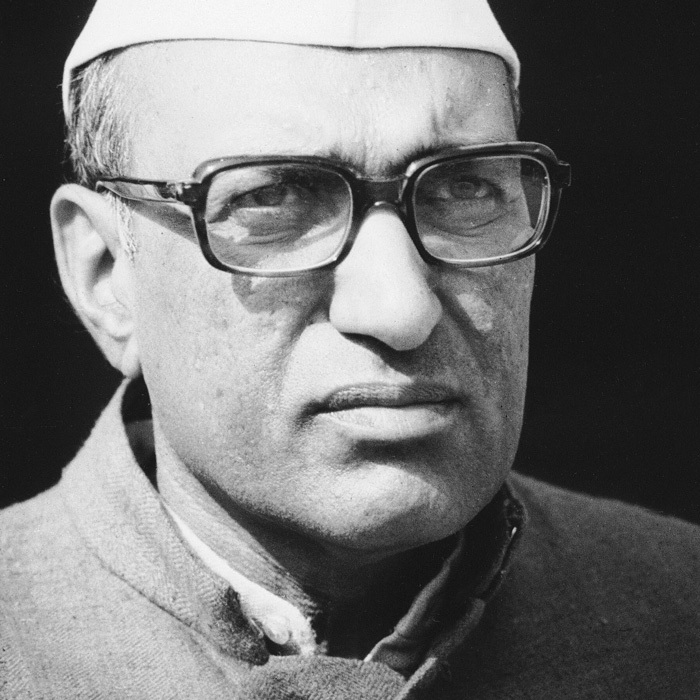 It was he who found a legal loophole for Indira to bypass her cabinet and get direct presidential assent. And it was he who would later claim that Indira believed India was headed towards chaos and needed the "shock treatment" of the Emergency. Dev Kant Barooah is notorious for coining the slogan, "India is Indira and Indira is India". But that isn't his only contribution to the culture of sycophancy. Here is another: "Indira teri subah ki jai, Indira teri shaam ki jai. Tere kaam ki jai, tere naam ki jai." He was the prime minister's 'Yes-Man' in the Congress, agreeing to whatever she wanted. In fact, after the Allahabad High Court unseated Indira, Barooah even offered to temporarily switch jobs with her, but Sanjay Gandhi shot down the idea. It was no secret that Sanjay detested him. He was heard calling him a "joker" and a "buffoon" at various occasions, but Barooah, the master sycophant he was, ignored it all and even hailed Sanjay as "a Vivekananda, a second Shankaracharya and an Akbar, all rolled into one". While SS Ray was the legal brain behind the Emergency, it was the likes of VC Shukla who ensured its implementation. A key member of Sanjay Gandhi's coterie, he was appointed I&B minister after the soft-spoken IK Gujral "failed" to implement the government's agenda. Shukla made it clear that the government would not tolerate "any nonsense" from the media. He even brought in IPS officers to supervise the media. His control over the All India Radio (this was the pre-television era) was total. Newspapers were censored, and most, with the honourable exception of The Indian Express and The Statesman, silently complied with the diktats of Shukla and his minions. Shukla didn't spare the film industry either. He banned Kissa Kursi Ka, which lampooned Sanjay and his cronies. He even banned Kishore Kumar's songs from the AIR after the eccentric singer refused to endorse Indira's Twenty Point Programme publicly. 'Nasbandi ke teen dalal: Indira, Sanjay, Bansi Lal', one of the most popular slogans of the Emergency went. It was a reflection of not just the Haryana chief minister's notoriety, but also his crucial role in the grand scheme of things. Sanjay believed forced sterilisation, one of his pet subjects, could control India's population explosion. Lal was at the forefront of implementing Sanjay's 'vision'. Unlike SS Ray, Lal did not care much about the legality of actions. He had no qualms about using the state machinery to supress political opponents. In fact, he is said to have asked Indira to send all Delhi-based political prisoners to Haryana, saying, 'Behenji, give them to me. I will set them right'. 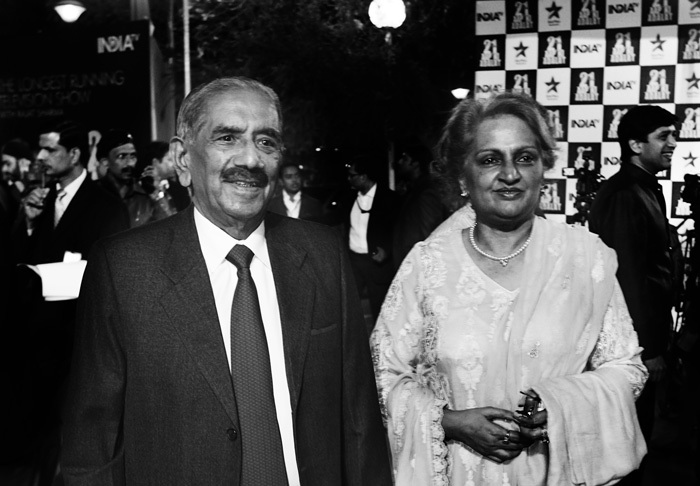 R K Dhawan was one of the most powerful men during the Emergency, and also the most notorious. He got the job after his uncle Yashpal Kapoor formally joined politics and became a Rajya Sabha MP. 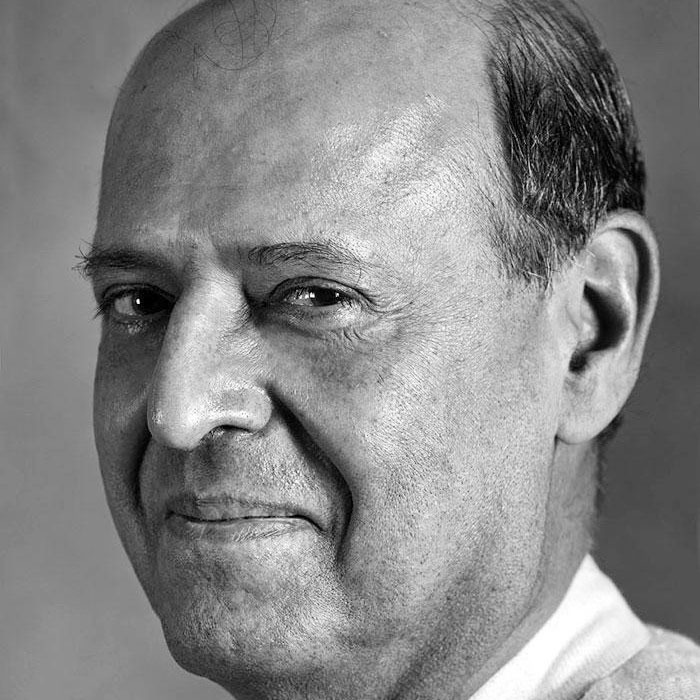 His proximity to Indira and Sanjay made Dhawan quite powerful, often controlling their schedule and appointments. But his role wasn't just clerical, he often implemented directives from the mother-son duo and directly deal with senior ministers and bureaucrats. 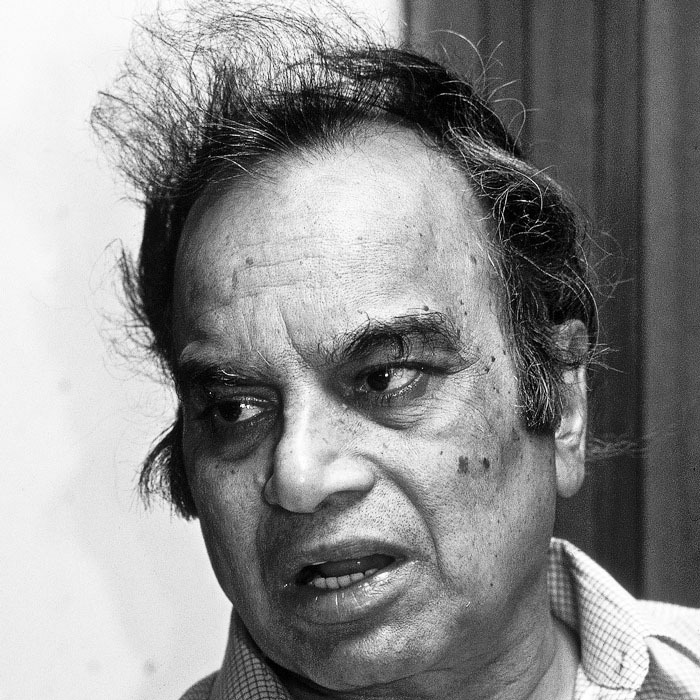 Along with Dhawan and others, Om Mehta formed what was popularly called the 'Punjabi Mafia', a clique that assisted Sanjay in implementing his plans. Mehta, despite being just a minister of state, virtually ran the home ministry for the prime minister and her son. A joke at that time referred to home ministry as the 'Om ministry'. Sidelining the home minister, Brahmananda Reddy, a former chief minister of Andhra Pradesh and later Congress president, Mehta cut off electricity to newspaper offices in Delhi, shut down courts and even plotted to overthrow the DMK government in Tamil Nadu. He was instrumental in compiling the list of people to be jailed. Now a retired IAS officer, Navin Chawla was close to Indira and her family. 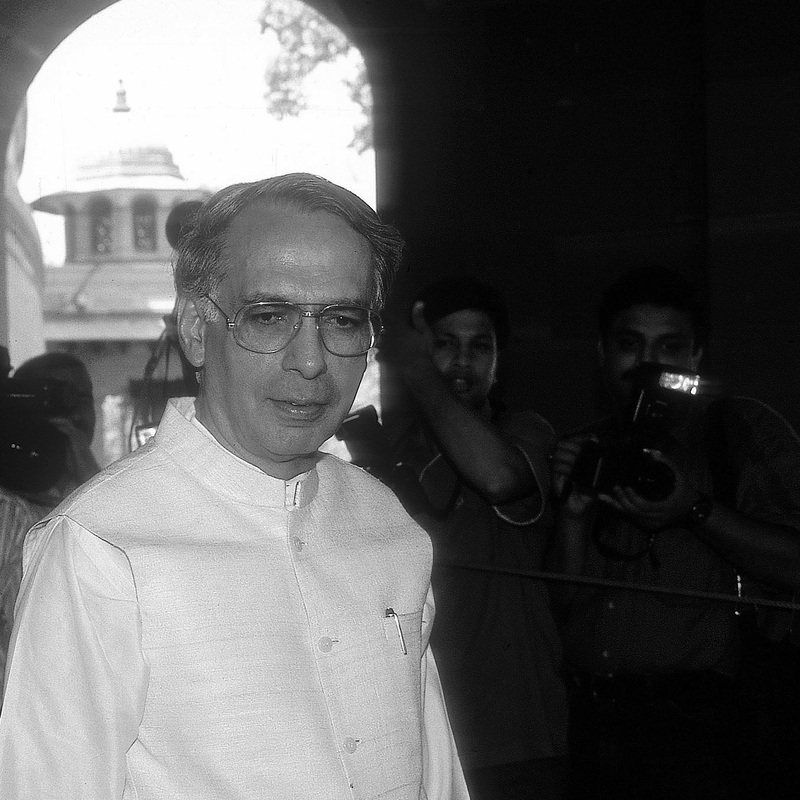 Some accounts claim that it was on Chawla's suggestion that Sanjay installed Kishen Chand as the Lieutenant Governor of Delhi during the Emergency. Chawla himself was appointed his secretary. Deposing before the Shah Commission, Chand claimed the prime minister had handed over running of the capital to Sanjay, who operated through a group of officers led by Chawla. Chawla is said to have played a key role in the arrest of opposition leaders in Delhi. He has even been accused of fabricating evidence against many detainees. He was responsible for releasing detainees who pledged allegiance to Indira's Twenty Point Programme, and keeping the rest behind bars. 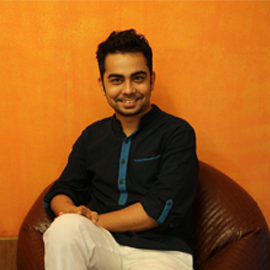 Jagmohan shared Sanjay's 'vision' of a slum-free Delhi. A law unto himself, he didn't believe in 'wasting' time over due processes. He secreted DDA files to Sanjay behind the LG's back. Under his supervision, people living in slums were evicted from their homes and forced to resettle on the peripheries of Delhi where living conditions were atrocious. The Shah Commission report indicted Jagmohan for doing the bidding of Sanjay without care or concern for the miseries of the people. Jagmohan, who is quoted as saying that he did not want 'a second Pakistan' in Delhi, particularly targeted areas with high concentrations of Muslim population. TWEET THIS 9 men ran Indira's Emergency machinery. Who are they? Was the Emergency plot ready six months earlier. Find out here.